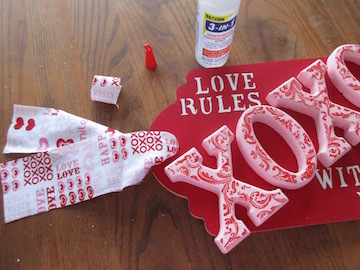 It’s almost time to decorate our front door again – for Valentine’s Day! 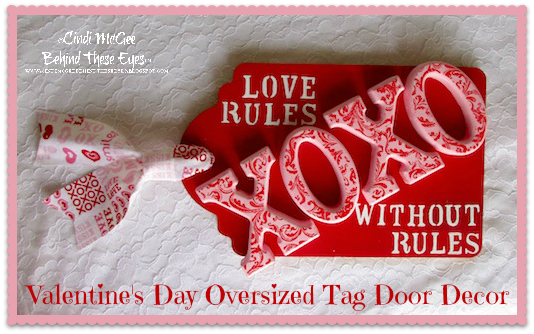 This year’s Valentine door hanger craft was inspired by the great dimensional letters made by Smoothfoam and an extra large wood tag shape. Together they make for a fun and unique way to decorate your front door and share the love! 1. 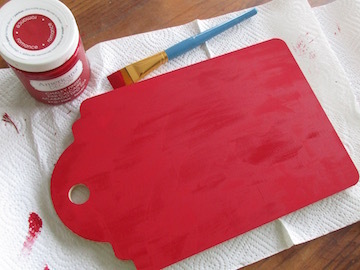 Paint the wood tag with red chalky finish. Let dry. 2. 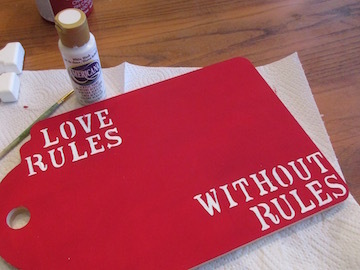 Spell out “love rules” and “without rules” with self-adhesive stencils. If you prefer, use stencil your lettering on the wood directly. I am stencil-challenged, so I prefer to trace the letters as a template with a pencil, and then fill in with a paintbrush. 3. Smoothfoam letters have small raised areas on them from the molding process, and sometimes the back edges of the lettering are a bit rigid. I like to smooth all those areas before I paint. 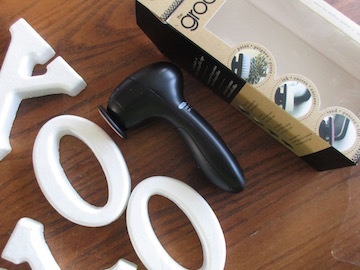 An easy way to do this is with the ART-C Groove Tool and the sanding disc. 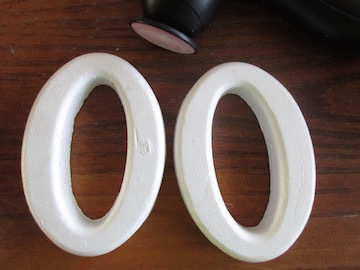 You can see the difference in these two “O” letters. 4. 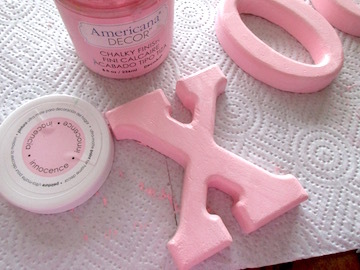 Paint letters with pink chalky finish. Let dry. 5. 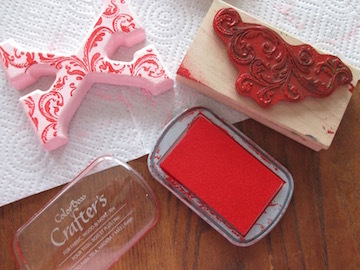 Ink stamp with red pigment ink, stamp surface of painted letters and let dry. 6. Cut a strip of fabric and tie it through the hole in the tag. Dovetail-cut the ends of the fabric strip. 7. Glue the letters to the tag. 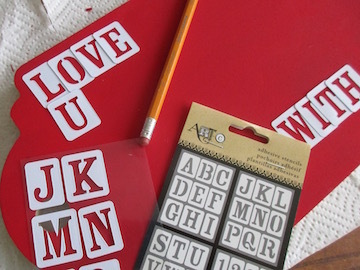 This entry was posted in General Crafts, Holiday Crafts, Home Décor Crafts and tagged Letters, Red, Sign, Valentine's Day, Wallhanging by Cindi McGee. Bookmark the permalink. I am a multi-published mixed-media artist, media spokesperson, educator, project and product designer and more. My style is diverse and ever-evolving and I enjoy experimenting with products and finding unexpected, creative ways to use them. My motto is “dare to be different” and I look forward to the opportunity to share creative ideas here with you!